The SM679 sticky suction deluxe car mount fits smartphones up to 6.75” tall, including the iPhone 6S Plus and 6 Plus, iPhone 6S, 6, 5, 5S, and 5C, Samsung Galaxy Note Edge, Note 5, Note 4, and Note 3, Samsung Galaxy S6 edge , S6 edge, S5, S4, and S3, Amazon Fire Phone, HTC One M9, One M8, and One Max, Nokia Lumia 1520 and 1020, LG G4, G3, and G2, Nexus 6 and Nexus 5, Motorola Moto G and Moto X.
ARKON SM679 SMARTPHONE HOLDER. The SM679 sticky suction deluxe car mount fits smartphones up to 6.75” tall. Sticky suction provides bond on car dash or windshield and flat or slightly textured surfaces. The sticky suction base uses a powerful combination of polyurethane gel and suction to provide a maximum surface bond. The sticky suction mount is also easily removable and reusable. The smartphone or tablet is held securely in place with the spring-loaded holder, and can be inserted or removed from the mount with one hand. The SM679 sticky suction deluxe car mount fits smartphones up to 6.75” tall. This mount includes Arkon’s Slim-Grip Ultra Holder and a sticky suction windshield or dash car mount with one-touch lever. 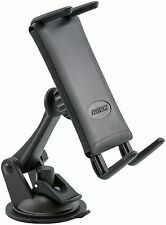 ARKON SM679 SMARTPHONE HOLDER. The SM679 sticky suction deluxe car mount fits smartphones up to 6.75” tall. 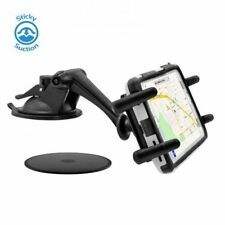 The SM679 sticky suction deluxe car mount fits smartphones up to 8” screen size. 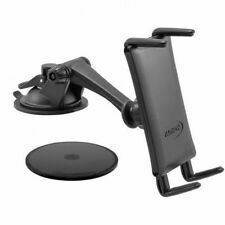 This mount includes Arkon’s patented Slim-Grip Ultra universal smartphone and midsize tablet holder and a sticky suction windshield or dash car mount with one-touch lever. IPhone X 8 7 6S 6 Plus 8 7 6S 6 and Galaxy S8 S7 edge S6 compatible. Sticky suction mount base bonds to flat or slightly textured surfaces. Item model number: SM679.